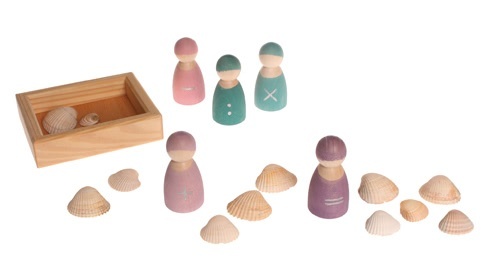 5 wooden figures in a wooden box - each figure bears a mathmatical symbol (addition, subtraction, multiplication, division and equals) Such a fun way to learn math processes! Can be combined with Acrylic Glitter Stones. 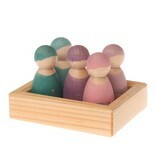 Materials: alder and maple wood, non-toxic water based colour stain/non-toxic plant-based oil finish. 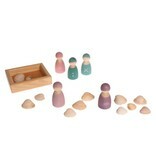 Frame length 10cm, Peg Dolls height 6cm, Peg Dolls diameter 3cm. 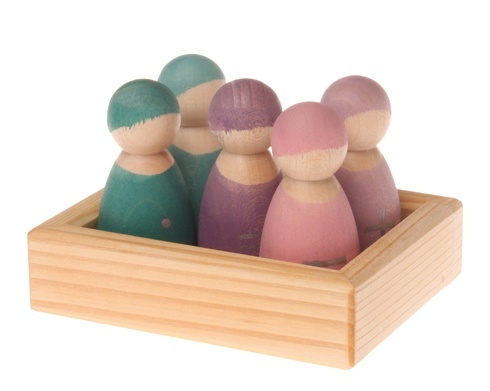 Each hand-painted peg doll is unique!